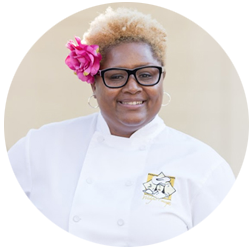 Chef Samone delivers an authentic, fun and energetic presence around her clients. She listens to their needs and responds with culinary solutions that match their palette, lifestyle and health goals. My story is filled with moments of back-to-back success, but also moments of intense difficulties that often made it tempting to quit all together. No matter what I've endured on my journey as a chef and business owner, my faith has consistently provided the resources and people I needed. I share my story from a perspective of showing others that anyone can fulfill their purpose in the midst of challenges and obstacles. Born and raised in Brooklyn New York, my first memory of cooking was with my Grandmother and Dad at the age of 9. I also remember my mother always making really great pies and cakes during family celebrations. I come from a long line of family members who served in the United States Military; most of them enlisted in the Marines. At age 18 I enlisted into the US Army as a Food Specialist and eventually stationed in Germany. There I was exposed to kitchen management, food service, and cooking for large quantities of people. I studied Hospitality Management & Tourism and also graduated from Le Cordon Bleu with a degree in Culinary Arts. After graduating culinary school I took my chef bag began to aggressively pursue personal and private chef jobs. Outside of working for myself I gained a solid foundation in international cuisine by working in various restaurants throughout Orlando. After some time working in the kitchen the realization came that I was more passionate about interacting with guests, than being behind the line. I enjoy taking a white canvas and making it beautiful from start to finish. I became homeless in 2004 just when the business was starting to take off. My previous marriage, clients and business fell apart and I was in a season of instability. I later wrote about it in my spiritual memoir, Lily In The Valley published in 2007. 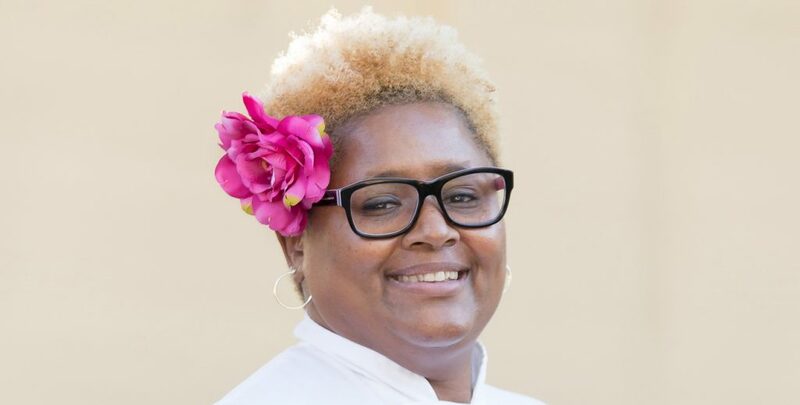 After remarrying in 2010 the road to rebuilding Wishful Concepts Catering began and I was inspired to focus on my passion for culinary arts full-time. My dream was to build a catering company that created an opportunity for clients to have a “one-stop shopping experience”. We wanted an atmosphere that allowed people who come from various cultural backgrounds, to work directly with a chef that could honor their family memories and celebrate culture through a great dining experience. We’ve catered events at various luxurious indoor and outdoor venue locations throughout Florida. Wishful Concepts Catering has won TheKnot’s prestigious award, “The Best of Weddings” for 6 consecutive years straight since 2013. I used to always tell my mom, “one day you will see me on television” and in August of 2017 I achieved my dream. 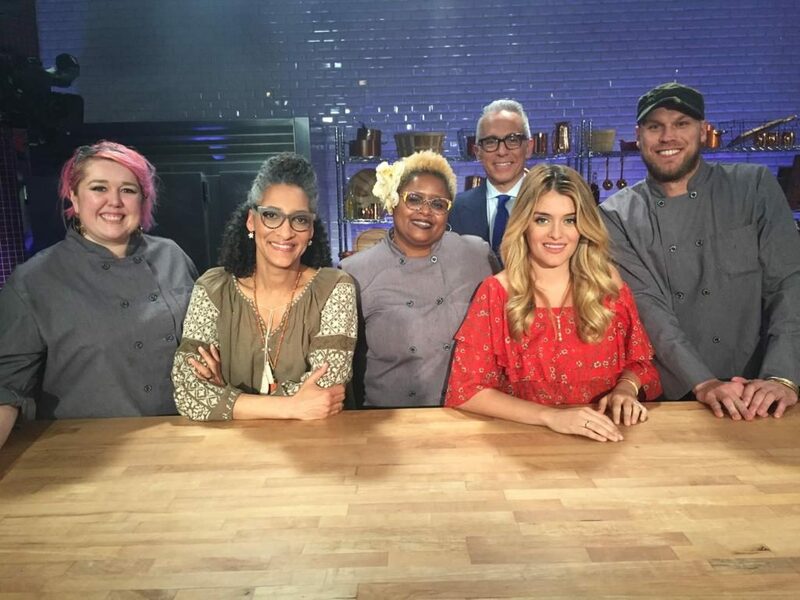 It was definitely an amazing experience to meet Chef Carla Hall, Chef Geoffrey Zakarian and food author and TV host Daphne Oz! I stepped out…applied and was chosen from among thousands to compete on the show and had a blast! 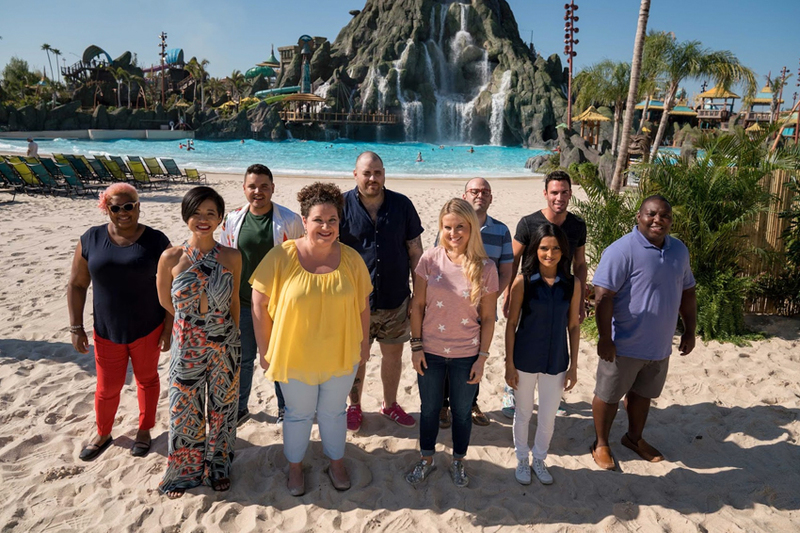 Having competed on Cooks Vs. Cons in 2017, another opportunity presented itself to compete on Food Network Star. Hosted by Chef Bobby Flay and Giada De Laurentiis, as I took on challenges that tests both my cooking and on-camera skills. All for a chance to host my own television series. After living abroad in Germany and gaining experience in Orlando Florida, I’ve since relocated to Atlanta Georgia as of July 2018. 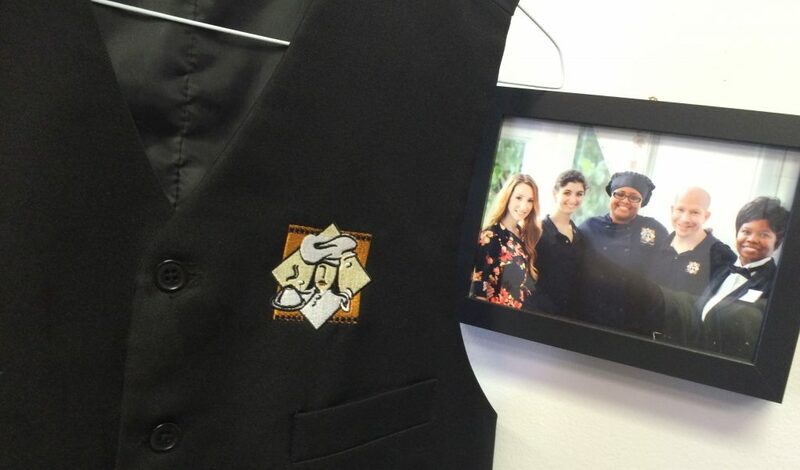 I’m focused on expanding as a personal chef and contributing to the world of film set catering. When Chef Samone is around expect laughter, a little dancing in the kitchen, friendly conversation and a pretty flower always attached to her hair. THANKSGIVING! A DAY FOR FAMILY, FOOD AND GREAT RECIPES! Client meetings can be setup for anyone living in the Greater Atlanta area, Monday to Friday between the hours of 11:00 am to 6:00 pm. Weekend appointments can be setup as well, but must be made by appointment only. Note: *All phone or in-person consultations are by appointment only. Chef Samone Lett and Wishful Concepts Catering proudly serves Atlanta, and parts of the Greater Atlanta area including Casselberry Hill, Buckhead, Sandy Springs, Roswell, Marietta, Alpharetta, Dunwoody, Mid-Town, Downtown Atlanta, Virginia-Highland Neighborhood, Ansley Park, Inman Park and other cities throughout Fulton, DeKalb, Henry, Clayton, Cobb, Fayette, and Douglas counties. 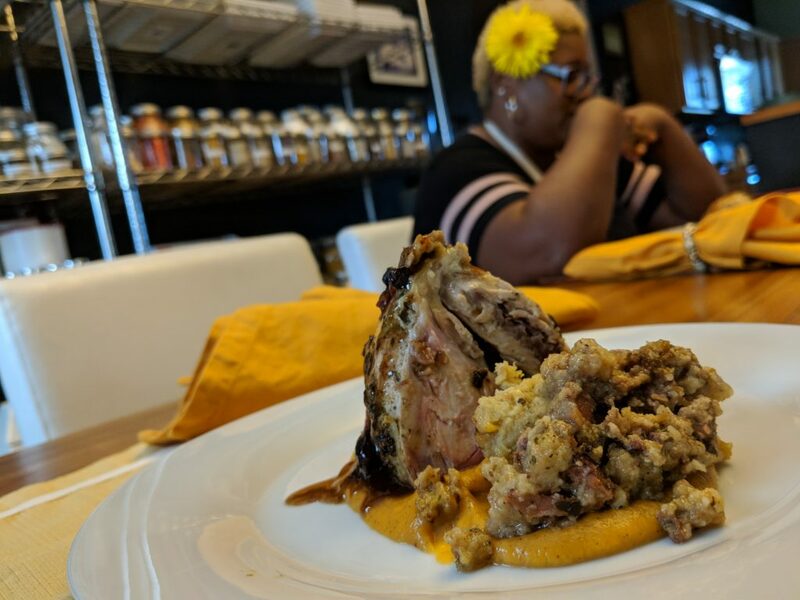 Chef Samone primarily works with multi-cultural families, foodies, recently engaged couples, corporations, those vacationing in Atlanta, and time sensitive career professionals who work in the Greater Atlanta area, looking for quality dining experiences and intimate customer service. © 2018 Wishful Concepts Catering & Personal Chef Services LLC. All rights reserved.